As parents, we would like to think that we are the most influential people in our children’s lives, and for your oldest child this might very well be true. But studies have found that younger siblings are more likely to be influenced (positively or negatively) by older siblings than by parents. 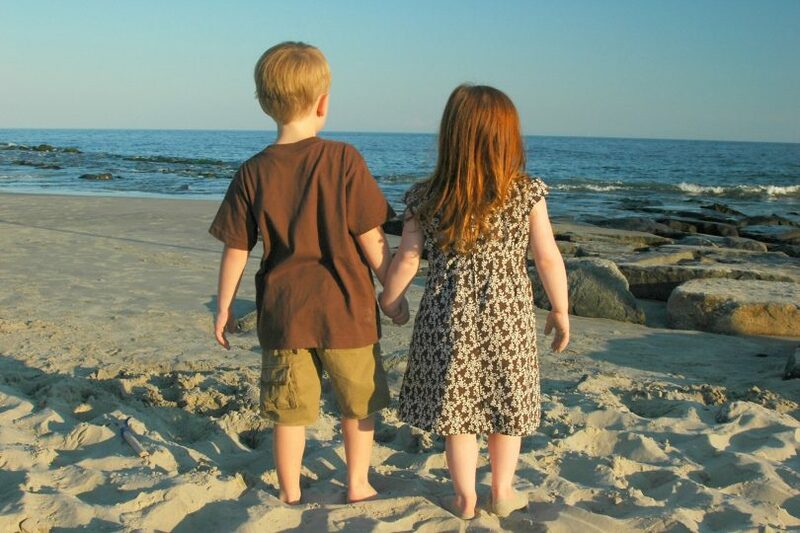 Equally important, studies have found that the quality of the sibling relationship has a huge impact on developmental outcomes. This has important implications for parenting. The impact of sibling relationships on child development has been an area of interest for researchers. Here are some of the findings. 1) Studies have found that the oldest child tends to be much more parent-oriented than his younger siblings. The vast physical, social and mental developmental gap between the oldest child and his parents can cause the oldest child to develop feelings of inadequacy and a need to achieve. This may be one of the reasons why older children tend to be more anxious, more achievement focused and more driven than their younger siblings. Younger siblings, on the other hand, tend to be more “older sibling oriented,” modeling their development and achievements after big brother or big sister. As a result, they have a much smaller developmental gap to overcome, less to prove and fewer self-imposed achievement pressures. Fot better or worse, they look to older siblings for information on how to behave, respond and relate – often regardless of what parents teach. 2) According to Laurie Kramer, a professor of applied family studies at the University of Illinois, siblings also play a much more influential role in developing “street smarts” or understanding and negotiating “playground politics” than parents. 3) Studies have also found that gender and age differences among siblings do not have a significant impact on the development of close relationships and that the benefits of a positive sibling relationship result in positive behavioral outcomes as the children grow up. In other words, less delinquent behavior is associated with a positive relationship between brothers and sisters. 4) Other longitudinal studies have found that positive sibling relationships that begin in early childhood endure into adulthood. Start seeing your family as an integrated system rather than several independent parts that make up a whole. Study the dynamics between your children (as pairs and groups). Look for areas of subtle and overt conflict. Be aware of subtle expectation differences you may have between your children. Encourage mutual interests and discourage isolation (“Yes, you can play wii, but you must play together”). Don’t let wounds go untreated. Make sure that forgiveness is sought and amends are made as part of your job as relationship triage nurse. Do not allow bullying or abuse (verbal, emotional or physical). Discipline individually but consider the global impact of misbehavior. The discipline of one child sends a message to all. Be aware of favoritism and address any real or perceived incidences of such. Future-cast: talk about the relationship your children will have with each other as adults. Share childhood stories about your positive sibling memories. Encourage cooperation – have them work on a project or task together. The Bible provides a wealth of information on how we are to treat others. We need to study such verses together and help our children see their siblings as people worthy of respect – not just recipients of their frustrations and venting. Often our true character comes out in our dealings with the ones we love. We can use that information to tailor our interventions with our children to develop godly and moral character. Here are a few more resources to help you address sibling issues in your home. CfP articles including tools and techniques to effectively deal with sibling squabbles. Get your very own personalized, step-by-step parenting plan for help with sibling troubles.